We don’t really think of ourselves as ‘resort’ type holiday people. Having said that, we are well versed in the phrase, never say never. To be perfectly honest our family motto, blatantly stolen from an old boss of Bill’s, is “Strong opinions weakly held”. 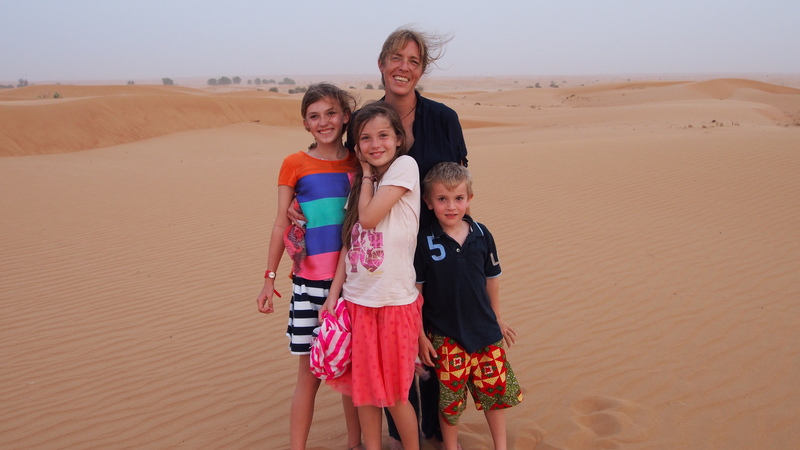 c) My mate Tina, hadn’t just been and told me what an awesome time she and her kids had. So, as I say, Strong opinions, weakly held. And I’m blaming Tina. But it was fun. Freaking nuts, but fun. Aquarium with 65,000 marine animals :: it was just amazing. Jock’s favourite, and mine too. The aquarium is visible in various parts of the hotel, including as replacements to windows in some hotel rooms and in a very elegant seafood restaurant (presuming however, the seafood is not that fresh). 20 restaurants :: the list goes on….and on….. I naively presumed Dubai’s wealth was based on oil, but relative to her neighbours (like Saudi Arabia, Kuwait), not so. Rising like a mirage out of the desert, with 12 lane highways, glass skyscrapers piercing the sky, and massive cranes building more of the same. All seemingly clean and new and bright. Dubai is the most extreme example of ‘Build it and they will come’. It’s economic model seems based on building the biggest, the tallest, the best of everything, which gives an utterly surreal, unreal air. Indeed the very land the hotel was built on is totally man-made, and as if to prove a bizarre point of engineering marvels, in the shape of a palm tree. From our very short visit this development seems based upon some interesting choices. It has chosen to staff the massive labour force required for its ambitions with expatriates, including at the very least the entire service and building industries. 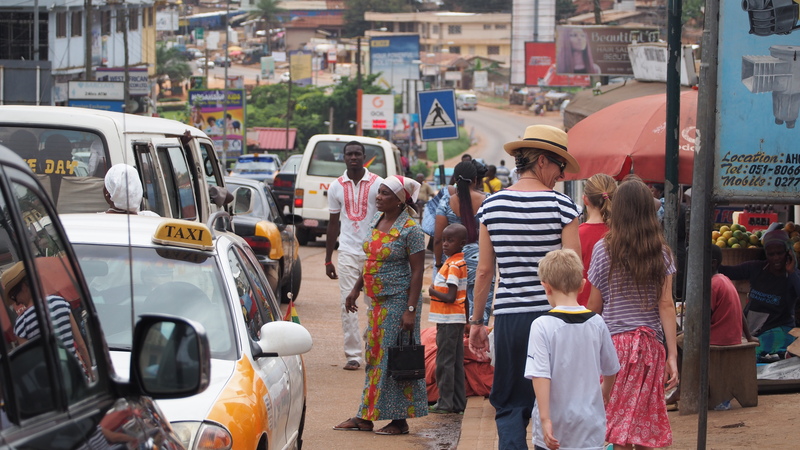 The ratio of locals to expatriates is 2:8, so in a population of 10 million people, 8 million are expats. The only locals I saw employed were at the Immigration desks at the airport. The drivers and other service staff I spoke to were exclusively expats from many nations. They are allowed to work in Dubai until they are 60, and then they must leave. Unless employed on a managerial level, the work visas are for singles, not families. Accommodation is often provided in shared quarters. Visits home seem somewhat determined by the individual; the Kenyan concierge went home 3-4 times a year, the Bangladeshi driver (with tears in his eyes when he spoke of his wife and baby daughter), once a year. And as you would expect, these people are supporting an extended family, while simultaneously dislocated from their home lives. The other interesting choice Dubai has made with regards to its development is a fairly relaxed attitude, relative to the other Emirates, towards religious observance. We arrived on the last day of Ramadan, so alcohol was not served till 8pm and the restaurants were boarded with privacy screens. The contrast between the bikini clad westerners and the fully veiled Muslim women by the pool was somewhat unsettling, although I pass no judgement on it, and indeed everyone seemed to be enjoying themselves. I did love watching a number of ‘Burqini’ clad mothers enjoying the pools with their children. While I was nervous about venturing out in the 40degree heat, I was also pretty determined to see something beyond the hotel and the road from the airport. So, in a compromise to the heat, the short duration of our stay, and keeping the junior squad happy, we went on a 4 x 4 desert experience. Hell, it was fun. Literally on the edge of town (and I imagine under it) are rolling, Lawrence of Arabia-style sand dunes. We 4 x 4-ed, we watched falcons, held owls, rode camels, had henna tattoos, ran down sand dunes and had our eyeballs exfoliated, ate Middle Eastern food and watched belly dancers (which seemed so utterly at odds with the veiled women sitting next to us). I’m not even going to pretend it was an authentic experience, but like the rest of the holiday in Dubai, it was a fun bubble to visit. You know, since we were passing through…. I LOVED this post Chris! My thoughts on visiting the UAE are quite similar to yours – I mean, I wouldn’t go out of my way to go there yet if it happened to come up, I wouldn’t turn it down. I’ve heard of other friends who have kids rave about how great it was for the whole family so perhaps it’ll be more on my radar post-children. 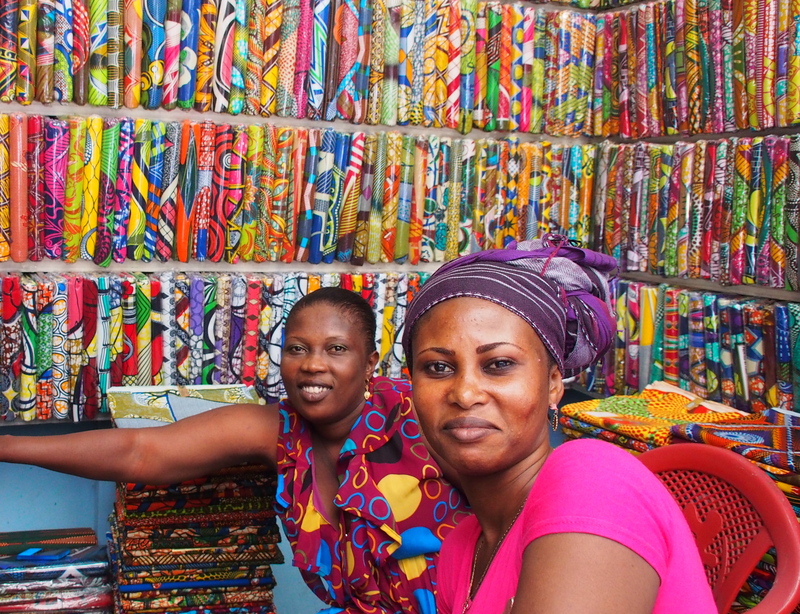 I love that you made the most of it and found some fun things to do – probably just what you needed enroute to Ghana! Hi Jay, I agree completely…I wouldn’t turn it down. And yes, post kids it really needs to be on your radar. They were in heaven and kept saying ‘I can;’t believe we are having a holiday like this’, so that was pretty funny really. Good to be back in touch! 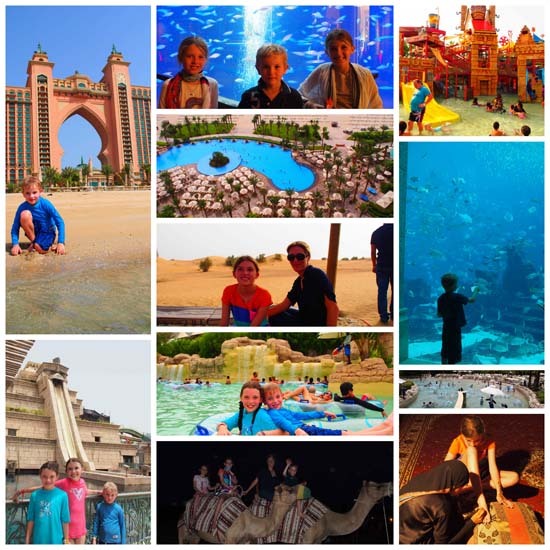 Nice pictures and welcome back….you and family were all missed.Thanks on the insight on Dubai. Will there be a Dubai posting part two with additional photos and of course your always great descriptive writings. That camel ride looked awesome ! Thought you might brave the heat and do desert stuff !